b. ^ As The World Factbook cites, regarding Turkey and Southeastern Europe; "that portion of Turkey west of the Bosphorus is geographically part of Europe." c. ^The population only of European Turkey, that excludes the Anatolian peninsula, which otherwise has a population of 75,627,384 and a density of 97. ^ Colin S. Gray, Geoffrey Sloan (2014-01-14). Geopolitics, Geography and Strategy. ISBN 9781135265021. https://books.google.com/books?id=7BakAgAAQBAJ&pg=PA116 2014年11月10日閲覧。. ^ Richard T. Schaefer (2008). Encyclopedia of Race, Ethnicity, and Society. SAGE. p. 129. ISBN 978-1-4129-2694-2. https://books.google.com/books?id=YMUola6pDnkC. ^ a b c d e f g h Alexander Vezenkov (2017). “Entangled Geographies of the Balkans: The Boundaries of the Region and the Limits of the Discipline”. In Roumen Dontchev Daskalov, Tchavdar Marinov. Entangled Histories of the Balkans - Volume Four: Concepts, Approaches, and (Self-)Representations. BRILL. pp. 115–256. ISBN 978-90-04-33782-4. https://books.google.com/books?id=R3cEDgAAQBAJ&pg=PA141. ^ Olga M. Tomic (2006). Balkan Sprachbund Morpho-Syntactic Features. Springer Science & Business Media. p. 35. ISBN 978-1-4020-4488-5. https://books.google.com/books?id=MFWOYUHULgsC. ^ Robert Bideleux; Ian Jeffries (2007). The Balkans: A Post-Communist History. Routledge. pp. 1–3. ISBN 978-1-134-58328-7. https://books.google.com/books?id=G6iBAgAAQBAJ. ^ “Balkan”. Balkan. Microsoft Corporation. 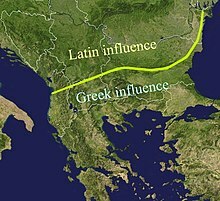 http://encarta.msn.com/dictionary_/balkan.html 2008年3月31日閲覧。. ^ “balkan” (Turkish). Büyük Türkçe Sözlük. Türk Dil Kurumu. http://www.tdkterim.gov.tr/bts/. "Sarp ve ormanlık sıradağ". ^ Oxford English Dictionary, 2013, s.v. ^ Current Trends in Altaic Linguistics; European Balkan(s), Turkic bal(yk) and the Problem of Their Original Meanings, Marek Stachowski, Jagiellonian University, p. 618. ^ a b c d Todorova, Maria N. (1997). Imagining the Balkans. New York: Oxford University Press, Inc.. p. 27. ISBN 9780195087512. https://books.google.com/books?id=-EuFwLQhvYMC&pg=PA27. ^ Decev, D (1986). Balkan Studies. University of Michigan. https://books.google.com/?id=UEJpAAAAMAAJ&q=thracian+sama+greek+haemus&dq=thracian+sama+greek+haemus 2015年6月20日閲覧。. ^ Apollodorus (1976). Gods and Heroes of the Greeks: The Library of Apollodorus. ISBN 978-0870232060. https://books.google.com/books?id=3cmSa4H_C0oC&pg=PA20&dq=Haemus%20bloody%20zeus%20typhon#v=onepage&q=Haemus%20bloody%20zeus%20typhon 2014年9月12日閲覧。. ^ Dobrev, Ivan (1989) (French). Проиcхождение географического названия Балкан – Sixieme Congres international d'etudes du Sud-Est Europeen. Sofia: Ed.de l'Académie bulgare des Sciences. https://books.google.com/books/about/?id=jxYZnQEACAAJ. ^ Todorova, Maria (2009). Imagining the Balkans. Oxford University Press US. p. 22. ISBN 978-0-19-538786-5. ^ Encyclopaedia of Islam, Second Edition, Editors: P. Bearman, Th. Bianquis, C.E. Bosworth, E. van Donzel and W.P. Heinrichs. Brill Online Reference Works. ^ Inalcık, Halil (2012-04-24). “Balkan – Brill Reference”. Brillonline.com. http://referenceworks.brillonline.com/entries/encyclopaedia-of-islam-2/balkan-SIM_1152?s.num=309&s.start=300. ^ a b c d e f g h i j Somek, Petra (29 October 2015). “Hrvatska nije na „zapadnom Balkanu“” (Croatian). Vijenac (Zagreb: Matica hrvatska). http://www.matica.hr/vijenac/565/hrvatska-nije-na-zapadnom-balkanu-24991/ 2018年12月31日閲覧。. ^ a b c d e f g h i j k l m n Altić, Mirela Slukan (2011). “Hrvatska kao zapadni Balkan - geografska stvarnost ili nametnuti identitet?” (Croatian). Društvena Istraživanja 20 (2): 401–413. doi:10.5559/di.20.2.06. https://hrcak.srce.hr/index.php?show=clanak&id_clanak_jezik=103699&lang=en 2018年12月31日閲覧。. ^ Maria Todorova Gutgsell, Imagining the Balkans (Oxford University Press, 2009; 0-19-972838-0), p. 24. ^ Vezenkov, Alexander (2006). “History against Geography: Should We Always Think of the Balkans As Part of Europe?”. Junior Visiting Fellows' Conferences XXI (4). http://www.iwm.at/publications/5-junior-visiting-fellows-conferences/vol-xxi/alexander-vezenkov/ 2018年1月5日閲覧。. ^ Bideleux, Robert; Ian Jeffries (2007). A history of Eastern Europe. Taylor & Francis. p. 37. ISBN 978-0-415-36627-4. https://books.google.com/?id=PTB0gn_qwTcC&printsec=frontcover. ^ Hajdú, Zoltán (2007). 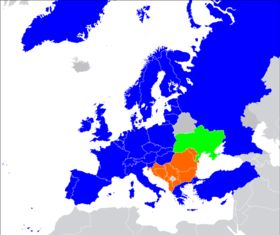 Southeast-Europe: State Borders, Cross-border Relations, Spatial Structures. Pécs, Hungary: Hungarian Academy of Sciences. ISBN 978-963-9052-65-9. https://books.google.com/?id=Ajvwx3OSE2AC&printsec=frontcover#v=onepage 2015年6月8日閲覧。. ^ Lampe, John R. (2014). 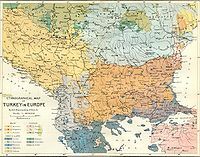 Balkans Into Southeastern Europe, 1914–2014: A Century of War and Transition. London, United Kingdom: Palgrave Macmillan. ISBN 978-1-137-01907-3. https://books.google.com/?id=tAMdBQAAQBAJ&printsec=frontcover#v=onepage 2015年6月8日閲覧。. ^ Švob-Ðokic, Nada, ed (2001). Redefining Cultural Identities: Southeastern Europe. Zagreb, Croatia: National and University Library in Zagreb. ISBN 978-953-6096-22-0. http://www.culturelink.org/publics/joint/cultid04/Svob-Djokic_Redefining_Cultid_SE.pdf 2015年6月8日閲覧。. ^ Penin, Rumen (2007) (Bulgarian). Природна география на България. Bulvest 2000. p. 18. ISBN 978-954-18-0546-6. ^ Treves, Tullio; Pineschi, Laura (1997-01-01). The Law of the Sea. ISBN 978-9041103260. https://books.google.com/books?id=x4uZat_RmpUC&pg=PA226&dq=greece+mainland+km2#v=onepage&q=greece%20mainland%20km2. ^ Pond, Elizabeth (2006). Endgame in the Balkans: Regime Change, European Style. Washington, D.C.: Brookings Institution. p. 5. ISBN 978-0-8157-7160-9. https://books.google.com/?id=JlgHH1dUKj0C&pg=PA5&dq=western%20balkans%20%22minus%20slovenia%22#v=onepage. ^ a b Zoltan Hajdu, ed (2007). “The European integration and regional policy of the West Balkans”. 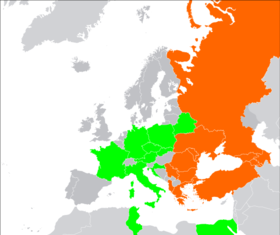 Southeast-Europe: state borders, cross-border relations, spatial structures. Ivan Illes, Zoltan Raffay. Centre for Regional Studies. p. 141. ISBN 978-963-9052-65-9. https://books.google.com/books?id=Ajvwx3OSE2AC&pg=PA141 2014年10月18日閲覧。. ^ Haarmann, Harald (2002) (German). Geschichte der Schrift. C.H. Beck. ISBN 978-3-406-47998-4. ^ Goldstein, I. (1999). Croatia: A History. McGill-Queen's University Press. ^ Schreiber, Stegemann and Vogel 1995, p. 484. ^ Schreiber, Stegemann and Vogel 1995, p. 521. ^ Ceremony marks the accession of Albania to NATO, NATO – News, 7 April 2009. Retrieved 18 April 2009. ^ Okey, Robin (2007). Taming Balkan Nationalism. Oxford University Press. ^ European Jewish Congress – Bosnia-Herzegovina, Accessed 15 July 2008. ^ "Greece". Jewish Virtual Library. ^ a b Crampton (2014-07-15). 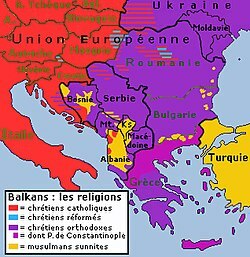 The Balkans Since the Second World War. ISBN 9781317891161. https://books.google.com/books?id=z9AFBAAAQBAJ&pg=PT14#v=onepage. Gray, Colin S. (1999). Geopolitics, Geography and Strategy. London, United Kingdom: Routledge. ISBN 978-0-7146-8053-8. Banac, Ivo (October 1992). “Historiography of the Countries of Eastern Europe: Yugoslavia”. American Historical Review 97 (4): 1084–1104. doi:10.2307/2165494. JSTOR 2165494. Goldstein, Ivo (1999). Croatia: A History. Montreal, Quebec, Canada: McGill-Queen's University Press. ISBN 978-0-7735-2017-2. Jelavich, Barbara (1983a). History of the Balkans: Eighteenth and Nineteenth Centuries. 1. Cambridge University Press. ISBN 9780521274586. https://books.google.com/books?id=qR4EeOrTm-0C. Jelavich, Barbara (1983b). History of the Balkans: Twentieth Century. 2. Cambridge University Press. ISBN 9780521274593. https://books.google.com/books?id=Hd-or3qtqrsC. Jelavich, Charles and Jelavich, Barbara, eds. (1963). The Balkans in Transition: Essays on the Development of Balkan Life and Politics Since the Eighteenth Century. カリフォルニア大学出版（英語版）. Mazower, Mark (2000). The Balkans: A Short History. Modern Library Chronicles. New York: Random House. ISBN 978-0-679-64087-5. Schreiber, Gerhard; Stegemann, Bernd; Vogel, Detlef (1995). The Mediterranean, south-east Europe, and north Africa, 1939–1941. Germany and the 2nd World War. Volume III. Clarendon Press. ISBN 978-0-19-822884-4. https://books.google.com/books/about/The_Mediterranean_South_east_Europe_and.html?id=GO3_aoOzTi4C.